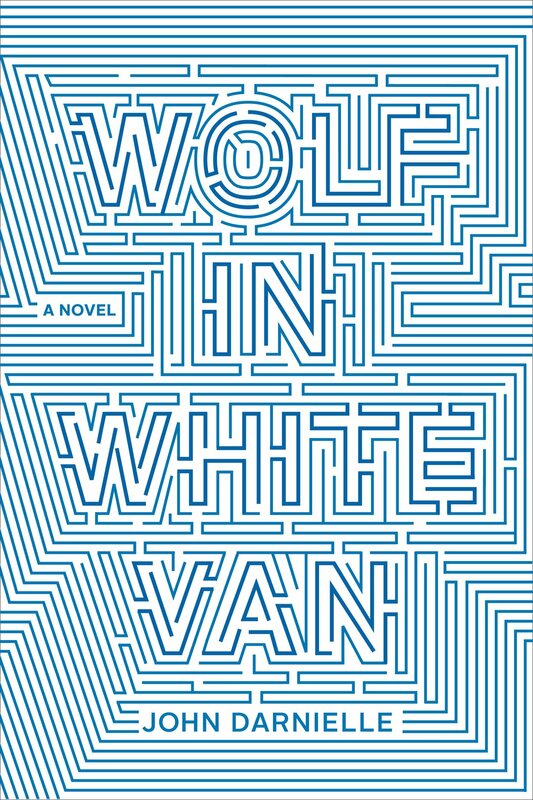 Wolf in White Van, John Darnielle, Farrar, Straus and Giroux, 2014, $24. Wolf in White Van is unlike anything I have ever read. John Darnielle plunges the reader into a maze of unsynchronized thoughts and chronologically displaced views. The narrator’s mind is a labyrinth into which he invites not only the reader but anyone willing to join in his mail-in role playing game. The cover does a masterful job of conveying the complexities of this novel to anyone lucky enough to happen upon it in a bookstore. Like the cover, the novel offers no way through the winding tunnels of the subconscious. Darnielle is also the lead singer of the musical group Mountain Goats, and his lyrical writing is displayed in flowing sentences that parallel the novel’s intricacies. The entire novel focuses on the idea of choices and the effects the choices we make have on our lives. Sean Phillips, the main character and narrator of the novel, begins the journey in the middle of its entirety. There are two tragic accidents in which Sean is involved. One of these involves him directly, where the other indirectly implicates him. However, in both situations it is the choices that Sean makes that deliver the tragic outcomes. After Sean’s self-destructive accident, he is forced to delve deeper into his own mind. Never knowing if he will ever be able to see or be a part of the world of his body, Sean begins to build an intricate and detailed world in his mind. He calls it the Trace Italian, and it becomes a role playing game that generates enough income for him to live on his own. Sean states, “It was later, lying supine and blind for days, faced with the choice of either inventing internal worlds or having no world at all to inhabit, when I started to fill in the details”. Even as a child, Sean imagined himself as a conquering ruler. “I ruled a smoking, wrecked kingdom with a hard and deadly hand. It was dark and gory. No one liked living there, not even its king.” These childhood thoughts seem more than the workings of a child’s imagination. Instead they make us wonder about Sean, and his motives later in the story. As the game master of the Trace Italian, Sean sets the scene for the characters involved. In a post-apocalyptic United States, there is not much hope for those who plunge into the game. The players mail their moves to Sean and he dictates the outcome of their choices. Sean never killed off any of his players for making one poor choice, but instead coerced them into making better decisions on the next turn. Only after several terrible turns would Sean feel the need to kill off a character. This idea of one poor choice not dooming someone to death seems to have been inspired by Sean’s own accident. The players were searching for a haven located in Kansas, the Trace Italian. Oddly enough, Sean never actually created the place. It seemed as if he never intended anyone to make it to the Trace. A young couple, mailing their journey to the Trace Italian from Florida, makes the choice to try to find the Trace in the real world. Their decision leads to terrible consequences, leaving one of them dead and the other in a precarious state. Sean is called in to court, to be held accountable for the effects his game had on the young people. Ultimately, Sean is not help responsible, but it does not stop his mind from wondering if perhaps he should have been. Sean talks about one of his players, “I pictured him acting out his dreams in real space, pantomiming his moves in a room somewhere before he wrote them down”. 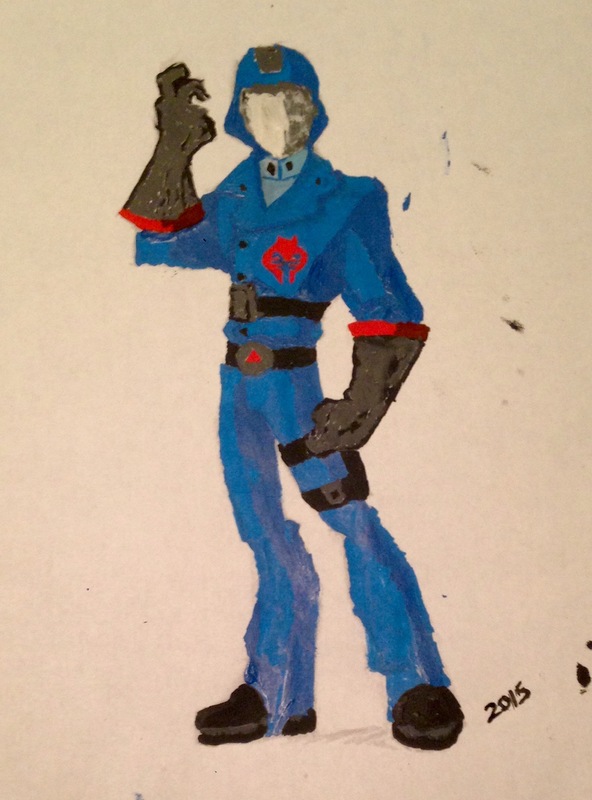 He proceeded to send the boy a scalpel through the mail in honor of one of the boys more courageous turns. Sean even drew comparisons between this particular player and the couple who ended up exactly what he imagined. Certainly, he did not feel that he was completely innocent. The book deals with the decisions we make and the outcomes that come after, but Darnielle does a masterful job of taking these elements and tangling them in the mysteries of the mind. The structure of the novel is worked so masterfully that both of the horrific events, although taking place many years apart, become both the beginning and the end of the novel. Wolf in White Van is an interesting read for anyone familiar with the intricacies of role playing games. The novel is intelligent, yet very comical in a real way, at the same time. Sight is an important idea in the play, Oedipus the King. There are two characters which most prominently portray the contradicting ideas of blindness and sight. Although Tiresias’ eyes have failed him, it is Oedipus who is blind. Sophocles has Oedipus look down upon Tiresias’ handicap, but Tiresias has knowledge that Oedipus longs to have revealed to him. In his rage, Oedipus cannot see but continues to plunge forward into the darkness of the unknown. His friends and family cannot stop him from his descent into the preordained will of the gods and the darkness which follows. There is a paradox with the lines of Oedipus; Tiresias is blind but represents vision, and Oedipus has sight but cannot see the clarity of his own identity. The two men seem to weave and dance in and out of the confining strictures of blindness and sight, and there are three movements within that dance. Tiresias must be led to his encounter with Oedipus, and the audience is forced to understand the misfortune of the poor man. He is forced to be led by a boy. Oedipus initially praises Tiresias. “Though your eyes can’t see it, your mind is well aware of the plague that afflicts us. Against it, we have no savior of defense but you, my Lord.” At this point, it is the audience that finds Tiresias lacking but Oedipus who understands the man’s wisdom. As Tiresias refuses to enlighten the king of his own downfall, there is a shift; the audience begins to understand the soothsayer, and Oedipus starts to doubt. The king, who once saw Tiresias a savior, now throws taunts and jeers at the man. “Oh, truth has strength, but you have none. You have blind eyes, blind ears, and a blind brain.” The first movement, as Tiresias flows from blindness to sight, has taken place. Oedipus takes up the next movement, as he slowly and painfully cultivates an understanding of his identity. Through seemingly no fault of his own, Oedipus cannot see who he truly is and what horrific acts he has already committed. Tiresias begins to chip away at the stony façade which Oedipus has surrounded himself within. “You are the plague. You poison your own land.” The king’s blindness pushes him to accuse Kreon of betrayal. However, Kreon asks Oedipus to listen and understand reason. The king replies, “I reason in my own interest.” This sort of thinking is what keeps Oedipus blind to the swirling truth around him. It is not until many witnesses have been called and many stories corroborated that the king finally begins to open his eyes. As his eyes opened to the truth, Oedipus cries out. “It was all true. O light! Let this be the last time I look on you.” Oedipus moved from an uncomfortable darkness to an unbearable light as he was forced from blindness to sight. The third movement takes place as Oedipus makes a decision regarding his newfound vision. The next time that the audience sees the king, he is being escorted by a servant. Oedipus remarks of his blindness, “Darkness buries me in her hate, takes me in her black hold. Unspeakable blackness. It can’t be fought off, it keeps coming, wafting evil all over me.” Although it is clear to the audience that Oedipus is now blind, the horror behind the empty sockets has yet to be revealed. Then, the king tells us how he lost sight. “But the hand that struck these eyes was my hand. I in my wretchedness struck me, no one else did. What good was left for my eyes to see?” There is a clear shift in Oedipus’ way to thinking. He pushed and pressed so hard to finally be able gain true sight. However, when he finally received that vision, he could not bear to keep it. “If I had eyes, how could they bear to look at my father in Hades? Or at my devastated mother?” It is here that Oedipus makes a choice to step back into the confines of the blinding darkness. Three different movements , all part of the same symphony, accompany Tiresias and Oedipus and bind them in a cycle of blindness and sight. Tiresias’ eyes did not function properly, yet he was able to see and understand the truth of Oedipus. Oedipus was blind to his own identity, yet he forced those around him to bring clarity of vision to him. Upon receiving his much sought after lucidity, Oedipus chooses blindness to the light of vision. Throughout the entirety of the play, Sophocles forces the audience to take a hard look at what vision and blindness truly mean. The questions of loyalty to family and accountability to one’s self seem to blaze into a conflagration within Sarty. The heat tempers the young man, allowing him to be molded into a far greater man that Abner ever seemed capable. Sarty never seemed to have the same blood coursing through his veins, and his father knew it. The boy seemed to be itching for a chance to sell out his blood. Sarty, in his transition from a boy to a man, escaped the bonds his father attempted to place on him. These bonds would have become shackles, locking Sarty into the same cage of malcontent for authority that his father seemed trapped. In every way he could, the boy sold out his blood. Abner would not even look at Sarty as the boy approached the Justice to give his testimony. The father had his doubts about his son’s loyalty to the family. Abner later states, “You would have told him”. Sarty did not want to lie for his father, and no son should be put in that situation by their parent. The Justice realizes what a horrible situation this put the boy in, and sends him away without a word spoken. Sarty is stricken with “frantic grief and despair”, but Faulker’s words seem to suggest that he would lie. Although, he would “have to do hit”, he was not happy about it. Abner lacked faith in his son. He “struck him with the flat of his hand on the side of the head” and stated that Sarty was “getting to be a man”. Abner wanted his son “to learn”, and did not realize that the lessons he was teaching were not going to produce the desired results. The day in the courthouse changed Sarty, and he would not allow himself to be put in the same situation once again. As Sarty looks back on the conversation with his father some twenty years later, it is clear that he understood the wrongness of his father’s actions. This flash forward tells us much about Sarty and the blood that he chooses to turn away from. Without the text, “If I had said they wanted only truth, justice, he would have hit me again”, it could be argued that Sarty simply continued his father’s hatred of authority. A continued cycle of fighting and lashing out against those in positions of power is broken by a few simple lines of text. Sarty is not turning against his father because he despises being under that rule. He goes against his own blood because it is the right and just thing to do. Sarty’s panicked fight to get away from his family in an attempt to warn De Spain, parallels nicely with his inner struggle to flee from the blood bonds that seek to drown out his ability to see the truth. Luckily, given the lines from his future perspective, it is clear that Sarty does not succumb to the embitterment. Not only does Sarty break free, but it seems that his bravery starts to inspire another member of his family. His aunt states, “If he don’t go, before God, I am going up there myself.” Unlike Sarty, the aunt never gives legs to her claims. At the end of the story, after gunshots are fired and Sarty believes that his actions have killed his father, he still has his back to his old home as he stares into the darkness of the unknown before him. The memory of his father, albeit incorrect, is much easier to admire than the cold and calculated villain that Abner was in reality. “Breathing was easier now” for Sarty. He no longer had to run. “The rapid and urgent beating of the urgent and quiring heart” was pushing blood through his veins, and he could create for himself a new bloodline in which truth and justice did not conflict with family bonds. Fountainhead Press, 2007. Pages 337-353. Finally, Some Reading for ME! I finally purchased two books written by friends of mine.